that connects the San Francisco Bay to the Pacific Ocean. The Golden Gate Bridge itself connects the city of San Francisco with Marin County on the other side of the Strait. The Golden Gate Bridge is one of the most beautiful bridges in the world. It is also one of the tallest. was to take a ferry. Planning for the Golden Gate Bridge began in 1916, but the design underwent many changes before construction finally started in 1933.
architects, and designers made vital contributions to the design and construction of the bridge. For example, the bridge owes its art deco style and distinctive orange color (“international orange”) to the architects Irving and Gertrude Morrow. Charles Alton Ellis, an expert on structural design, was the main engineer on the project, and did much of the technical work necessary to build the bridge. difficult circumstances. A suspension bridge of that length had never before been built. There are strong currents and heavy winds on the bridge site, which made construction dangerous. The bridge was finished ahead of schedule and cost much less than originally budgeted. that the bridge serves a vital function. There are foghorns to let passing ships know where the bridge is, and aircraft beacons on the tops of the towers to prevent planes from crashing into them. by ship, it is sometimes called the “Statue of Liberty” for the West Coast. 1. The Golden Gate Bridge ............... .
2. The idea for a bridge across the Golden Gate Strait .............. . THE 4TH JULY, THE INDEPENDENCE DAY IN THE USA. 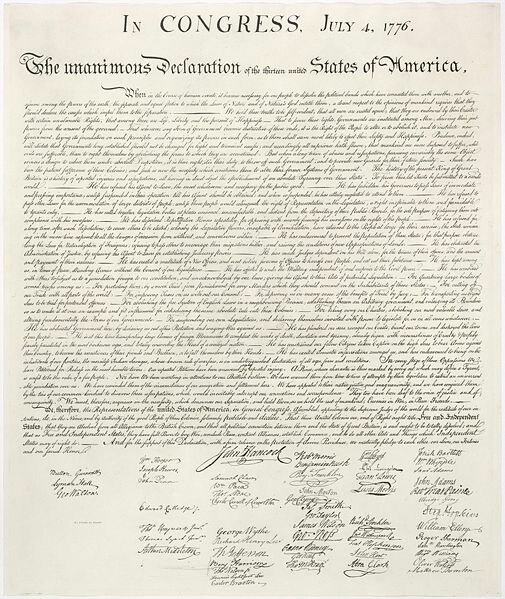 Independence Day is the national holiday of the United States of America commemorating the signing of the Declaration of Independence by the Continental Congress on July 4, 1776, in Philadelphia, Pennsylvania. At the time of the signing the US consisted of 13 colonies under the rule of England's King George III. The colonies were not happy with the taxes that had to be paid to England since the colonists did not have any representation in the English Parliament As the unrest grew in the colonies, King George sent extra troops to help control any rebellion. In 1774 the 13 colonies sent delegates to Philadelphia Pennsylvania to form the First Continental Congress. The delegates were unhappy with England, but were not yet ready to declare war.In April 1775 as the King's troops advanced on Concord Massachusetts Paul Revere would sound the alarm that "The British are coming, the British are coming" as he rode his horse through the late night streets. The battle of Concord and its "shot heard round the world" would mark the unofficial beginning of the colonies war for Independence. The following May the colonies again sent delegates to the Second Continental Congress. For almost a year the congress tried to work out its differences with England, again without formally declaring war. By June 1776 their efforts had become hopeless and a committee was formed to compose a formal declaration of independence. Headed by Thomas Jefferson, the committee included John Adams, Benjamin Franklin, Robert R. Livingston and Roger Sherman. Thomas Jefferson was chosen to write the first draft which was presented to the congress on June 28. After various changes a vote was taken late in the afternoon of July 4th. Of the 13 colonies, 9 voted in favor of the Declaration, 2 - Pennsylvania and South Carolina voted No, Delaware undecided and New York abstained. To make it official John Hancock, President of the Continental Congress, signed the Declaration of Independence. The Continental Congress visited seamstress Betsy Ross' store and asked her to sew the first American flag. The Continental Congress passed the first Flag Act to establish an official flag for the new nation. "Resolved, That the flag of the United States be made of thirteen stripes, alternate red and white; that the union be thirteen stars, white in a blue field, representing a new Constellation." The birth of a new nation was heralded as the Declaration of Independence was read aloud for the first time. Congress passed an Act providing for 15 stripes and 15 stars to appear on the flag. Congress passed an Act providing for the addition of one star for each state admitted to the Union; the flag was to be changed on the 4th of July following the admission. President Taft signed an Executive Order providing that the stars be ordered in six horizontal rows with eight stars in each row; each star was to have a single point facing up.� The additional star reflected the admission of America's 48th state, Arizona, into the Union. President Eisenhower signed an Executive Order providing that the stars be ordered in seven horizontal rows of seven stars each in order to reflect the admission of America's 49th and 50th states, Alaska and Hawaii, into the Union. President Eisenhower signed an Executive Order providing that the stars be ordered in nine staggered horizontal rows and eleven staggered vertical rows. Each year on July 4th, , Americans celebrate their independence with fireworks and family gatherings. All Americans are entitled to Independence Day off work - although some people have to work. (like policemen and firemen). Independence Day is considered a Family Day with picnics, barbecues, fireworks, parades, to celebrate independence and freedom. Americans proudly fly the American flag and spend the day with their families. What do you Know about the Big Ben? 2009 marks the 150th anniversary of the Clock Tower, The Big Ben. The Clock Tower you see today is not the first tower to be built in Parliament’s grounds. The original tower was built in 1288-90 during the reign of King Edward I. It was located on the north side of New Palace Yard and contained a bell and clock. The bell, first named 'Great Edward' and later known as 'Great Tom', struck on the hour. A second tower replaced the original in 1367. This was the first public chiming clock in England. By 1707, this tower was demolished. A sundial was put up in its place. A terrible fire destroyed most of the Palace of Westminster in 1834. Construction of the Clock Tower began in September 1843. This is the iconic tower which stands today in the Houses of Parliament. Contrary to popular belief, ‘Big Ben’ is not the name of the tower itself but the bell that chimes the tune. Some people claim that it borrowed its name from the heavyweight championship boxer, Benjamin Caunt. But it was more likely an affectionate tribute to Sir Benjamin Hall, who supervised the installation. Big Ben’s clock mechanism was designed by London’s top barrister of the day, Edmund Beckett Denison and was quite revolutionary. It was the biggest clock of its time, and remains one of the world’s largest timepieces today. which translates as Lord save our Queen Victoria I. Big Ben consists of one big bell and four smaller bells at the side. The big one is eight feet in diameter and weighs an incredible 13½ tonnes. Many people think that it is the heaviest bell in Britain – but it actually comes in third behind Great Paul in St. Paul's cathedral, and Great George in Liverpool. This bell was cast by George Mears of Whitechapel for the clock of the Houses of Parliament under the direction of Edmund Becket Denison QC in the 21st year of the reign of Queen Victoria in the year of our Lord MDCCCLVIII. All through this hour, Lord be my guide; And by thy power, no foot shall slide. Big Ben is one of London's best-known landmarks, and looks most spectacular at night when the clock faces are illuminated. You even know when parliament is in session, because a light shines above the clock face. The four dials of the clock are 23 feet square, the minute hand is 14 feet long and the figures are 2 feet high. Minutely regulated with a stack of coins placed on the huge pendulum, Big Ben is an excellent timekeeper, which has rarely stopped. This bell came originally from the old Palace of Westminster, it was given to the Dean of St. Paul's by William III. Before returning to Westminster to hang in its present home, it was refashioned in Whitechapel in 1858. The BBC first broadcast the chimes on the 31st December 1923 - there is a microphone in the turret connected to Broadcasting House. There are even cells within the clock tower where Members of Parliament can be imprisoned for a breach of parliamentary privilege, though this is rare; the last recorded case was in 1880. The tower is not open to the general public, but those with a "special interest" may arrange a visit to the top of the Clock Tower through their local (UK) MP. I know most teenagers like mystery stories, for this reason, I have thought that my students will be interested in learning about Edgar Allan Poe .An American writer, who lived in the 19th Century and wrote a lot of mystery and horror short stories and poetry . Most of them have been used as scripts for films. He is considered the first writer of science fiction and the inventor of suspense stories. This year it is celebrated his bicentennial because he was born in 1802. You can see some photos. Watch the video of one of his stories. It is quite important to know and use the punctuation marks in a correct way in order to write good compositions. I am going to explain the punctuation rules in English and provide you some activities. commas and question marks to make you be understood clearly. Each punctuation mark can be used in many ways. - Use a period at the end of a declarative sentence. I like fish and chips. - Use a period to end an abbreviation.Mrs. Johnson is our new neighbour. - Use a comma to separate three or more items in a series. My favourite subjects are history, maths and French. - Use a comma to separate independent clauses in a sentence. Susan likes the beach, but Tom prefers the mountains. - Use a comma to set off dates and addresses. I was born on July 2nd, 1965. - Use a semicolon when two independent clauses in a sentence are not separated by a conjunction . I got good marks in English; my sister failed. - Use a semicolon between independent clauses in a sentence that are separated by any of the following transitional words or phrases: accordingly, consequently, for example, for instance, furthermore, however, instead, moreover, nevertheless, otherwise, and therefore. We decided to have a picnic; however, it rained and we couldn´t go. - Use a colon before a list. We have to buy: apples, bread, milk, biscuits. - Use a colon to divide hours from minutes. I have an appointment at 12:30. -Use a question mark at the end of an interrogative sentence. Does she live in London? - Use an exclamation mark at the end of a sentence to show strong emotion. - Use an exclamation mark at the end of a sentence for emphasis. You have to study harder! - Use an exclamation mark after an interjection. - Use an apostrophe to indicate a missing letter or letters in a contraction. - Use an apostrophe plus the letter "s" to show possession. When the noun finishes in an -s, it is only added the apostrophe. Click on the websites to find writing activit¡es and improve your written Emglish. This is a reading comprehension activity for my students of 1st of ESO and PCPI. One day Nasreddin went to town to buy new clothes. First he tried on a pair of trousers. He didn't like the trousers, so he gave them back to the shopkeeper. Then he tried a robe which had the same price as the trousers. Nasreddin was pleased with the robe, and he left the shop. Before he climbed on his donkey to ride home, the shopkeeper and the shop-assistant ran out. "You didn't pay for the robe!" said the shopkeeper. "But I gave you the trousers in exchange for the robe, didn't I?" replied Nasreddin. "Yes, but you didn't pay for the trousers, either!" said the shopkeeper. "But I didn't buy the trousers," replied Nasreddin. "I am not so stupid as to pay for something which I never bought." 1 How did Nasreddin get to the shop? 2 What did Nasreddin do first in the shop? -He tried on some trousers. -He tried on a robe. -He tried on a hat. 3 What did Nasreddin try on next? 4 Which item did Nasreddin like best? 5 How many people were working in the shop? 6 Why was the shopkeeper angry when Nasreddin left? -He didn't take the trousers. -He didn't pay for the robe. 7 What did Nasreddin actually pay for? We all know, teachers and students, how difficult the pronunciation of regular past simple is. The past simple tense and past participle of all regular verbs end in -ed. In addition, many adjectives are made from the past participle and so end in -ed. The question is: How do we pronounce the -ed? It is important to notice that it is the sound that is important, not the letter or spelling. For example, "fax" ends in the letter "x" but the sound /s/; "like" ends in the letter "e" but the sound /k/. aged, blessed, crooked, dogged, learned, naked, ragged, wicked, wretched. The origin of the English word Easter probably comes from Eostre , who was the pagan goddess of spring. The pagans celebrated the arrival of spring. When the Christianity was introduced in Britain the two festivals were mixed. Although the Christian festivity replaced to the pagan one, some symbols of the spring festival remained, such as flowers, eggs, rabbits and bunnies, the pagans offered their eggs in grass baskets to the goddess Eostre. Easter is the most important festival in the Christian church year. It begins with Good Friday. The Romans killed Jesus Christ in Jerusalem about two thousand years ago. Christians believe in the Resurrection of Jesus Christ on the third day after his Crucifixion.Why is Easter on a different day each year? This is because Easter Sunday is the Sunday after the first full moon after the first day of spring (21 March). Easter eggs, Easter Rabbit (Easter Bunny ) and sending Easter cards are tradition not only in Britain. The cards are often in green or yellow or show baby animals, because lots of animals are born in spring. This tradition goes back to the 19th century. Nowadays, in Britain and in the USA Christian families attend to a church service in the morning, there is special music. People also send postcards to friends and relatives. They wear something new to celebrate Easter and the arrival of spring. Before Easter British and American children decorate eggs with bright colours and beautiful designs. This tradition comes from Middle Ages in England and in ancient times eggs where the symbol of fertility and life. On Easter Day in the USA there is the traditional Easter egg hunt, which was introduced by German immigrants long ago. Families go to the park and parents tell their children that the Easter Bunny hid many eggs in the park and they must find them and put them in colourful Easter baskets. As in all competitions the child who has found the biggest number of eggs is the winner. Egg rolling is an ancient Easter tradition. On Monday children roll their eggs down a hill, the first egg that reaches the bottom of the hill without breaking is the winner. In the USA, the president invites children to roll eggs on the lawn of the White House in Washington DC. There are chocolate eggs, chocolate bunnies and sugar eggs in all sweet shops. Hot Cross buns are a special Easter food. They are small sweet cakes with a cross on top. They are eaten on Good Friday in Britain. There is a story of a widow whose son was a sailor. He asked his mother to bake him hot cross buns on his return on Good Friday. But he never came back. Every Good Friday his mother made a new bun for him and hoped that he would come back. She collected all the buns in a net. When she died her old cottage was replaced by a pub - "The Widow's Son" where the buns can be seen today. Every year a sailor adds a new bun to the collection in the net. Sailors from around Britain come to the pub and sing and pray for the widow. Now it is time to have some fun. Try to find the eggs . How to celebrate Saint Patrick's Day at school? This is a complementary activity that can be carried out for teachers at school. Students will know about Irish culture and festivals. The celebration will take place in the assembly hall and the teachers will go there every hour with their groups. They will be asked to wear something green because it is the colour of Ireland. On the walls of the hall there will be hung posters about Ireland and Saint Patrick. The posters could be about the Irish Flag, the shamrock, the history of Saint Patrick, the most important cities of Ireland, the history of the Irish Island, Saint Patrick's Day parades,etc. The posters can be elaborated by the teachers or by students in previous classes or as homework. Teachers will tell them the story of St Patrick, they will look at the Irish map and the posters. In the classroom, students can also watch a video about Ireland or listen to a Celtic song. Later there could be a debate about the similarities and differences between Ireland and Spain as well as the typical topics of the countries. Students will be aware of different cultures and ways of life. Here there are also some links to play on the computer. Saint Patrick is the patron saint of Ireland and although it is celebrated around the world, the information about his life is quite vague. Most information about St. Patrick has been , simply made up over centuries by storytellers. However, there are a some elements of his life about which most historians accept to be true. Saint Patrick lived about between 432-461 A.D At the age of sixteen he was kidnapped from his native land of the Roman British Isles by a band pirates, and sold into slavery in Ireland. Saint Patrick worked as a shepherd and turned to religion when he was alone. After six years of slavery he escaped to the Irish coast and fled home to Britain. While back in his homeland, Patrick decided to become a priest and then decided to return to Ireland after dreaming that the voices of the Irish people were calling him to convert them to Christianity. After studying and preparing for several years, Patrick travelled back to Ireland as a Christian missionary. Although there were already some Christians living in Ireland, St. Patrick was able to convert to Christianity many people. Patrick's mission in Ireland lasted for thirty years. It is believed he died in the 5th century on March 17, which is the day St. Patrick's Day is commemorated each year. Ireland wasn’t the first country to celebrate St Patrick’s Day with a parade and, up until 1970, pubs across Ireland closed their doors as a mark of respect for this religious occasion! It was, in fact, colonial New York City that hosted the first official St Patrick’s Day parade back in 1762, when Irish immigrants in the British colonial army marched down the city streets to St Patrick’s Cathedral. Dublin’s first St Patrick’s Day Parade is little more than 75 years old. In 2009, the St Patrick's Day festival (March 13-17) in Dublin is celebrated in style, with music, street theatre, family carnivals and up to 4000 performers joining the fun. With the origin being Ireland it is obvious that the Day is also holiday in the USA. But in Ireland, it is more of a religious holiday similar to Christmas and Easter. It is celebrated with parades, community feasts, charity show, the mass. The parades, shamrocks, and green beer are provided primarily for tourists. In fact, it has turned out to be one of the most celebrated events in Ireland and a major tourist attraction. The early Irish immigrants like the English, Dutch, German, French and the likes, brought their traditions in United States. But it was not until 1737 that the immigrants really celebrated the Day. It was in Boston where the Day was first celebrated in a public way. Gradually other states took it up. And it was New York that took out the largest ever St Patrick' s Day parade. Held since 1762. The city of Chicago has developed a unique tradition of coloring the river water green. It started in 1962 when 100 pounds of green vegetable dye were added to its river, enough to keep it green for a week. The tradition has continued till date. Now, 40 pounds of a green food coloring keep the river green for only a few hours. Irish community in various cities celebrate the Day with social and community works. Making charities, attending mass, promoting their own culture, and feasting with their foods. To check what you know about Saint Patrick click on quiz . To do some activities click here . You can see a sample of Saint Patrick's parades.